The Washington Examiner is a political magazine that covers politics and policy in the United States and internationally. 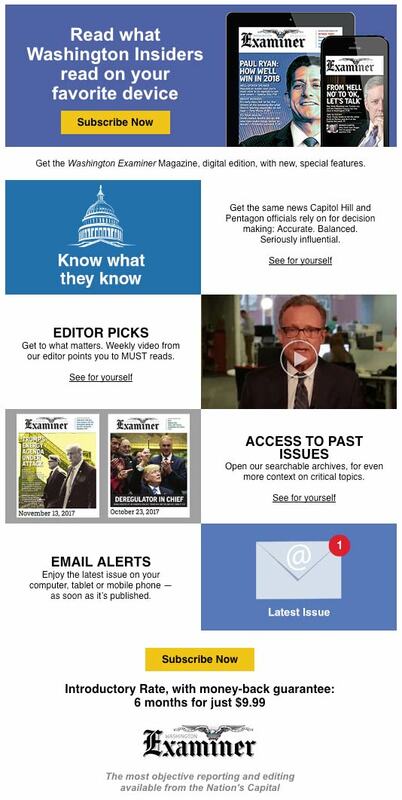 Widely read on Capitol Hill, the publication now wanted to grow to include the general public. 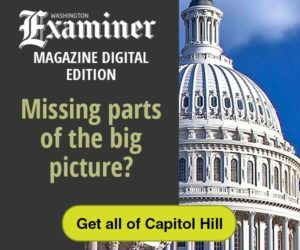 PROBLEM: To drive new signups to the revamped digital edition of the Washington Examiner, now available only through a paid subscription. PROCESS: First step, learn who we would be targeting. We determined this to be people who want to avoid “fake news” and to be in the know like their elected representatives. To get their attention, we emphasized that the printed version of the magazine (which is distributed free on Capitol Hill and at the Pentagon) is highly regarded – and read – by government officials who depend on real news for decision making. One challenge, which we successfully addressed in the copy, was to add value to the publication, since a digital subscription will have a fee. Note: We included a test in the emails. If you look carefully at the samples below, you will see that there are two “Personal Invitation” email letters, with the same copy. The only difference: one has graphics and the other doesn’t. I find text-only email letters perform well, so we decided to run a test. RESULTS: Looking forward to hear!